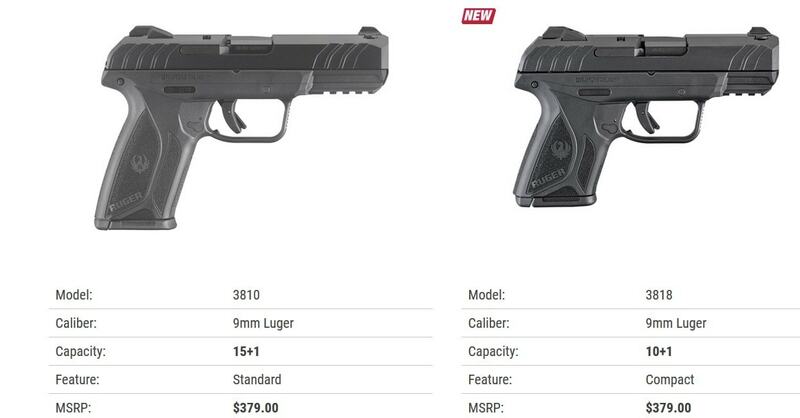 Essentially a downsized version of their standard Security-9 pistol offering, Ruger’s new Compact model is both lighter and more concealable. Introduced this week, the new hammer-fired 9mm is a good bit smaller than its big brother, trimming off a couple of ounces to provide a weight of 21.9-ounces, largely due to its polymer frame. Likewise, the Compact features a 3.42-inch barrel rather than the standard Security-9’s 4-inch model. As the new pistol is shorter, it has a 10-round magazine capacity, down from 15 in the full-sized model. Although the Compact is shorter than the Standard model Security-9, it still has the same hammer-fired action along with features such as forward slide serrations and an accessory rail, which are rare for a gun its size. Ruger debuted the Security-9 series in 2017 in an ode to the classic and affordable Security-Six revolver of the 1970s and 80s. The no-frills handgun is evolved from the company’s subcompact LCP and LCP-II line, using a variant of that .380’s fire control system. However, the Security-9s have an integrated trigger safety and external manual safety. Other features include a hard-coat anodized aluminum chassis with full-length guide rails and a blued, hardened alloy steel slide and barrel. 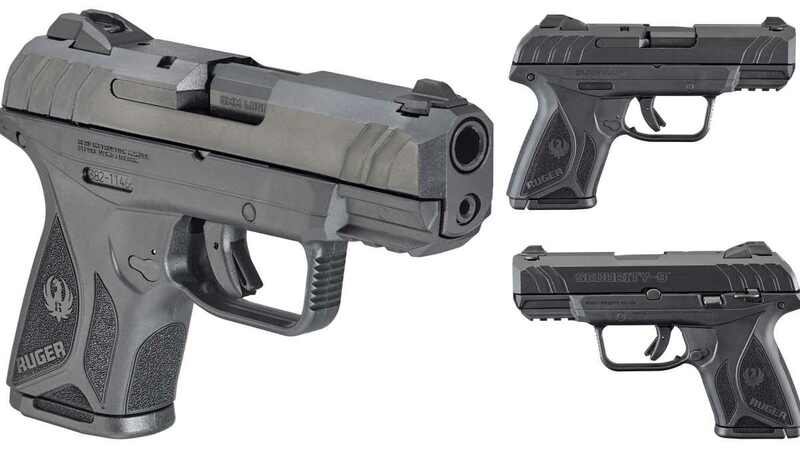 The new pistol splits the difference between the standard Security-9 and Ruger’s even smaller LC9/EC9S series, which feature a 7-round capacity. Suggested retail for both the legacy Security-9 and the Compact version is $379, while Guns.com typically carries the line for a lot less than that. The 9mm ships with a pair of 10-round flush fit magazines but the 15-round mags from the full-sized model are backward-compatible.